Biscayne Beach will offer 399 luxury residences, ranging from one- to four-bedroom layouts with den options as well as exclusive penthouses with private rooftop garden terraces. All units will include floor-to- ceiling glass windows, oversized balconies, and will boast sweeping views of Biscayne Bay, Miami Beach and the city skyline. Construction will get underway in the first quarter of 2014 and is slated for completion in 2016. 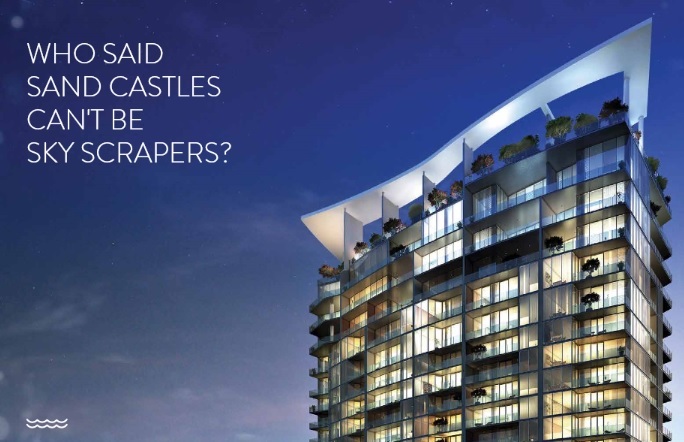 Preconstruction prices range from the $400,000’s to multi-million dollar penthouses. Biscayne Beach is a 399-unit luxury condominium tower being developed by a joint venture between Eastview Development and GTIS Partners in Miami’s East Edgewater neighborhood. Upon completion in 2016, the 51 story high-rise, directly on the water, “Brings the beach to the city,” boasting Miami’s newest beach club on the Bay.